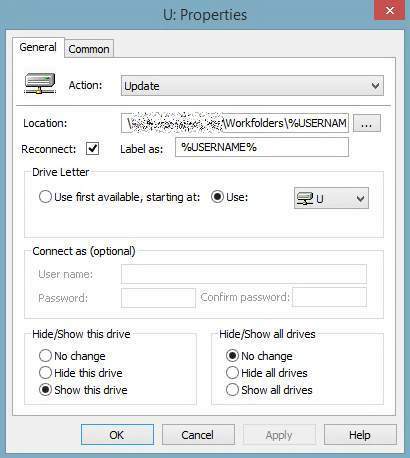 Info: What clients can be used with the Windows Server 2012 Work Folder feature? – Windows 8(.x) x86 and 64-Bit and Windows RT: Work Folder support is coming directly with the OS. – Windows 7 x86 and 64-Bit; Work Folder support needs do be downloaded from here and to be installed. yesterday Microsoft released an update to the Windows Server roadmap. Reduced to the main information it announced a new Version for Windows Server in 2016 and not in 2015. In this part we will get a closer look on Windows Server 2012 R2 incl. virtual Windows OS’s runinng on Hyper-V which is also available with Windows 8.1 Pro and Enterprise. You are using virtual Windows Systems together with the Hyper-V role or VHD boot to have multiple Windows systems available on a PC/Server? VHD’s are available in different types, one is the dynamic mode and this is very common to use. Why? If you create a VHD with an size of 80GB in dynamic mode the VHD file size will be only a few MB. The VHD will increase the size everytime you add data to it and will max. grow to the defined size (in this case 80GB). But what will happen to the VHD if you remove content from it? Will the VHD size decrease? No… You need to run a compression to perform this task and most Users or Administrators are using the compression offered in the Hyper-V console. Is this a problem? For my point of view yes… In the Hyper-V console you can only run the compression for 1 VHD per Time and you have to repeats this for other VHD’s, boring right? Do you know that they are different compression types available? No? Of cause most people don’t know this because the Hyper-V console doesn’t offer any compression type selection and the “default” compression is not the most efficient one. Attention: If using VHD(x) Boot do not use it for the used boot VHD, it will also not work for running VM’s and the current used VHD(x) files. Disadvantage: Installed Hyper-V role is required to run the command, it will not work for VHD(x) files used by runinng VM’s. Do never use it for a VHD(x) with existing snapshots or VHD(x) files that work as parent disk for one or more differencing disks (See 2,). You want to run several VM’s with the Hyper-V role? You copy always your Master VHD(x) for each VM? So one 80GB Master Disk is required for 5 VM’s and you have now 480GB used on the HDD? This can be done much lower storage demand by using differencing disks. To explain this a little bit more in details.. A differencing disk (aka as fast clone/linked clone for other Hypervisors) is some sort of a snapshot, so it will take the data from the Master Disk and will add modified or added content to the differencing disk. This means if you use Windows in this way all Windows files will come from the Master Disk, if you now install office to a VM that is using a differencing disk Office will be installed in the differencing disk but the Windows OS files are still coming from the Master Disk. For my sample it means.. If i create a 80GB Master Disk and based on this Master Disk i created 5 VM’s based on a differencing disk, the differencing disk size per VM is only 4MByte at the beginning. So i don’t use 480GB like shown in the sample, i use only 80GB + 5x4MB for the VM’s, you can reduce this even more if the VHD(x) Master Disk is a dynamic expanding disk (see also 1.). – Delete the VM but not the VHD(x) file used by the VM to prevent changes to the Master Disk in the future. – In the Hyper-V console (right site) click on “New”->”Harddisk” and follow the assistant, important for the VHD(x) selection.. The differencing disk must be the same type as the Master Disk. – Select “Differencing” in the Harddisk Type selection and click on next. – Select the Path where the differencing disk should be created and type in the differencing disk name and click on next. – Select the Master Disk and click on next and confirm the task to create the disk. – Now create a new VM and assign the fresh created differencing disk to the VM. – Create more differencing disks/VM’s if required. Produced space on HDD: “Size of Master Disk” x “amount of VM’s”, applying Windows Updates to VM’s will decrease the saving by time. Disadvantage: Not recommended for production use by Microsoft! Do not change or delete the Master Disk or all related differencing disks will fail! I do use this only for VM’s that don’t require Windows Update (like Test environments), as more Windows Updates are installed to the VM’s based on a differencing disk as more space will be required for the differencing disks and as lower is the saving. Do never ever use this for Domain Controllers incl. CA’s / Exchange / SQL / Lync / Dynamics / Windows Storage / Sharepoint Servers, this is my personal opinion; it’s great to setup fast Test Systems / Web / Print or Terminal Server and to perform development/security audits to check/verify Software incl. load tests. Each differencing disk will highly increase the IOPS for the Master Disk, the Master Disk should be always placed on a very fast storage (SSD’s or similar). We already got a closer look on the winsxs folder in Part 1 of this series, we already removed superseded files/updates but why not removing files that are not required? If you prepare a couple of Terminal Server, why should you keep files related to the IIS or the Active Directory Domain controller role in the Master Image? You’re right.. There is no reason to do this but still most Administrators are doing it. Removing the components also reduce the Windows Update footprint because the removed components will not updated anymore. Disadvantage: Removed roles and features can not be installed without an external winsxs folder source once the files are removed/the above commands are executed. Execute the powershell command to remove all not used components only when you are really sure that you have finished the component setup for this system. In Part 1 i forgot to mention the “basic” tool, the default disk cleanup tool coming with Windows. Disadvantage: Removed log files/data is not available anymore and maybe need to be recreated or can not be used for future troubleshooting as example. This is the end of Part 2, maybe there will be a Part 3 (dealing with low-end tablet/low storage mobile cloud clients) but this depends on the available time and future ideas how to slim down a Windows. P.S. : No warranty at all, if you have no idea what iam talking about don’t use any of these solutions. Don’t blame me if you crash your system.. Dealing with Windows and the components can be always tricky. this issue happens sometimes for me, Windows Server 2012 R2 is a cool product and a couple of Administrator are using it in core mode. This is quite easy because you can switch between core and GUI mode quite simple now. The pain starts if you have installed some Apps in GUI Mode, as example Microsoft Silverlight and than you switch to the core mode. Why? Windows can not use Silverlight in core mode and related roles/applications are not available in the core mode. When it now comes to Windows Updates it still download Silverlight related updates but this will cause in error during the update installation (the related Applications are not available…). This is caused thru the winsxs folder and the available packages/components hold in this folder, so we need to repair it. Once the command is finished the issue should be gone and Windows Update should run fine now. P.S. : If the issue is not gone check in c:\Windows\Logs\DISM\dism.log if you receive any other information related to the issue. you run several Windows 2012R2 Servers or Windows 8.x VDI’s? You have Windows devices with small HDD’s/SSD’s? You run out of storage or you want to reduce the Windows Footprint in general? Can be used with WIM boot installation: Yes but smaller effect. Disadvantage: Windows Updates can’t be rolled back in case of issues, test the Windows before you roll-out it. Windows comes with a sub directory called “winsxs”, this is one of the most important Windows folders because this folder holds all Windows Installation Files and a lot of active used Windows Files are pointed to the files in the “winsxs” folder. This folder requires a lot of space and it could make sense to compress it if possible. By design this task is not simple to do and we need a more complex script to do it. You can also compress some other folders like the Fonts directory without any issue in the same step. I use this script since a long time (> 12 Months) now and with a couple of test / low storage system’s like my Surface Pro, until now i never got an issue but i don’t recommend to use this in any Windows Server production environment. Can be used with WIM boot installation: No, never use it with a WIM installation! Why? The files in the winsxs folder in a WIM boot installation are mapped from the recovery partition. If you compress now the files the files will be shifted/written into the Windows partition and this will highly blow up the used space. Disadvantage: System requires some CPU resources to handle the compressed files, system is now without any support from Microsoft. Do never abort the script once running, run it only with a 100% stable system! Script needs some time to run… If running on a physical hardware create a recovery partition on a USB Memory in advance: How to create a recovery partition on a USB memory or create a snapshot if used with a VM. Once the script is finished you will receive always a message that the script execution failed for one file, this is by design and no issue at all. P.S. : Figures shown as produced savings are max. savings, on a fresh installed windows the savings will be lower. you are using the Workfolder feature with Windows 8.1 Pro or Windows 8 Pro incl. Enterprise? For a few devices the download sync works fine but uploading files result in the error 0x80072ee2 or 0x80c80203? (Error codes can be reviewed in the Eventlogs->App and Service Logs->Microsoft->Windows->Workfolder). These errors can happen if you are using the Hyper-V Role coming with Windows 8.x Pro and Enterprise, a virtual Switch is assigned to the WiFi Card and you are using the WiFi connection for the Workfolder sync. To fix it just remove the Virtual Switch thru the Hyper-V console and retry the sync, it should work now. You can also receive other errors.. Like unstable Remote Desktop connections as example. P.S. : Other reasons for a failed sync could also be possible, but this is currently the main reason that i found. Connections thru a Hyper-V Virtual Switch assigned to a regular ethernet card could not be reproduced during my tests. the last day’s i setup a new design for a storage infrastructure, in this infrastructure i’ve moved/deleted round about 6TB of data. On some volumes was/is deduplication enabled and after i’ve moved a bunch of data away from these volumes to free diskspace the Windows Explorer still shows no “new” free space available. By default Server 2012 and R2 will free diskspace one time per week or with other words you will not get free diskspace by only deleting a file; quite simple. Wait until the job is finished and check the free space again, it should be available now. I will not explain why deduplication is working in this way here but I did note sometimes Administrators are not aware about the way how it works and that’s the reason why i mention it here. This is also important if using data deduplication for portable harddisks (not recommended to do so), i’ve seen this already a few times and in this case you are required to run this job manual (mostly). P.S. : If you run full backup jobs on a volume like this Microsoft recommends to create a new full backup after the “GarbageCollection” Job is finished, a lot of data can be changed during this job. Of course the execution time should not be at the same time like a large backup job or similar.. 🙂 Replace hh:ss with the time you want to perform the job, also remove unwanted days if not needed. i just got the issue with a tablet (Windows 8.1), i boot up the tablet and got a sync error from the Workfolder feature. The error number was 0x80080222, after a research i did not found much information’s about this error. Typical it means that something with the licensing failed but all Servers incl. the tablet didn’t show any license issue and were still activated, also other devices still got no issues and worked without any error. Funny… Only difference to the working devices was the fact that the workfolder file location was stored on a SD-Card (to save rare SSD space) and i remember that i remove the card a few hours before (device was off) to copy a file from it (not from the workfolder file folder…). So i tried to reproduce it and yep.. Same happens again, so it seams to be that the workfolder feature checks the filesystem and if something is wrong it denies to work anymore. 🙁 No workaround, just stop the use of workfolders and set it up again to get it working. Quite simple and don’t waste your time for troubleshooting. P.S. : Similar can happen with regular HDD’s/SSD’s if removed from the device and attached to an other one (to take a backup or whatever). I would like to get a more detailed error description or a hint at Microsoft TechNet but i did not found any article related to the issue. for a project i needed to use a DVB (TV Card) device together with Windows Server 2012 R2. After some researches i found a very cool blog here: How to: Add BDA Hardware Support to Server 2012 R2. I downloaded the package and after the Installation it works like a charm for me. Great work, thanks for sharing this! 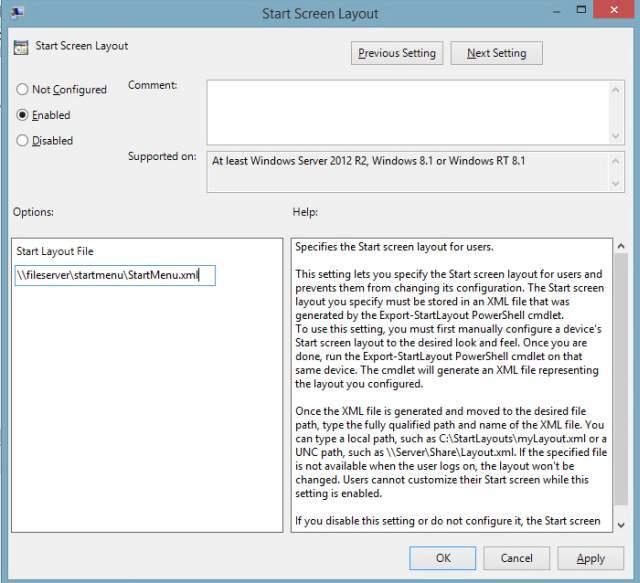 So if you also need to use a DVB-T/C card or USB device with Server 2012 R2 try it out and follow the instructions mentioned in the blog article. a few times i’ve been asked where the Windows Store Apps located incl. the data for Apps (Savegames, configuration files and so on). Check the subfolder names in these directories, it should be easy to identify the App folder that you are looking for. If you want to backup your configuration data or maybe save games just backup the configuration data folder, you can also copy this folder to an other device, i never got an issue by doing this and I’ve done this a few times for Apps which don’t offer a “Sync” option thru Microsoft One Drive. Please note: These folders are hidden and you need Administrator permissions to modify these folders. Do also note that you never remove an Windows App by deleting just the folder in C:\Program Files\WindowsApps, this will never be enough and can create major issues for this App. i already written two Blogs about the Windows Store and how you can fix issues there… If these solutions doesn’t help you to fix the Windows Store Error 0x80240017 than you should try this one for the following scenario. 5) Open the Windows Store and try to re-install the app again, a reboot is not required. Office for Windows RT based devices will also receive an update thru Windows Update which is already available. There are currently no product ISO Files available on MSDN that already contains the SP1, so currently you are required to download/intall the SP1 seperate or to deploy it thru Windows Update or a WSUS Server.